Microsoft reports that its business applications partner channel is growing, and average per-partner Dynamics 365 revenue is rising at the same time. Still, Dynamics partners can expect new updates to product competencies, certifications, and other metrics by which Microsoft will measure channel performance. 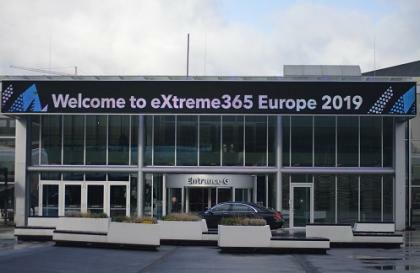 Microsoft business applications partner lead, Cecilia Flombaum, speaking at the eXtreme365 Europe conference in Amsterdam, advised partners to prepare for a range of changes from Microsoft around how the company helps educate partner employees, award certifications, and measure a partner's performance. There are over 6,000 partners now selling Dynamics 365, up from 3,500 in fiscal year 2017, Flombaum told partners in attendance this week. And Microsoft now has about 2,500 selling the Power Platform – PowerApps, Flow, and Power BI. "We're growing the business faster than we're growing the number of partners," she said during a keynote presentation, but that level of partner growth is also "a little scary," despite the fact that Dynamics 365 revenue per partner is rising. There has been a 30 percent growth in deals over $1 million, largely from global systems integrators, which she admitted could be skewing those per partner revenue averages (though she shared no additional metrics). She also noted the channel's role in Microsoft delivering Dynamics 365 double digit revenue and product growth as reported in the recent Microsoft earnings reports.